Southbound is WA's sole music and camping festival, hosting a large range of talent from overseas headliners to upcoming Australian acts. Held in Busselton WA, the festivals branding draws on the beautiful landscape of the states south west. 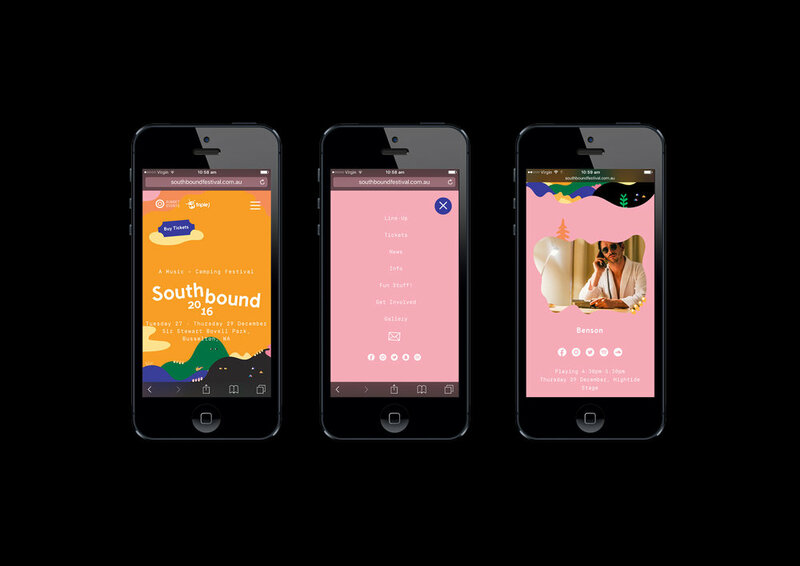 Incorporating colour and fun illustration to represent not only the Southbound experience but the journey to get there.